Achievement, honorable acts, good health and strong life-force. Contact between our higher self and our subconscious. Completeness, the cleansing light of the living flame, empowerment in our lives, the ability to make positive changes. The Sowilo rune of the Elder Futhark is the light of the burning sun, the power of the living flame burning within us. When we make great achievements, when we perform honorable acts and rise to our ultimate potential, the Sowilo rune shines upon us. It illuminates our success. The power of the Sowilo rune can clear away the unwanted, can bring us to a point of self-realization, and signal that now is not the time to withdraw from the challenges ahead. It calls us to be honest with ourselves, to acknowledge our drives and empower ourselves to achieve them. The Sowilo, like the warming sun of spring melting away the ice. It draws us to become active, to nurture our health, and to shine as our own sun. When it shows up in reference to a relationship in a rune reading, it indicates a need to develop our independence in the relationship. Dishonesty with our goals to ourselves and others, poor advice possibly given maliciously, retribution for past wrongs, the carriage of fierce justice, destruction by the hand of the Gods. 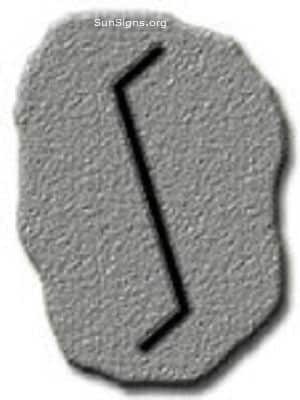 The Merkstave Sowilo rune represents the darkness that opposes the sun, the lunar eclipse blocks it from our view. 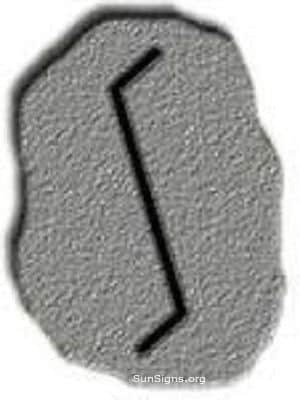 When the Sowilo rune is in its reversed orientation, it is warning us that we are hiding the truth from ourselves. It also shows that the truth is hidden from us. It is sometimes the omen of the past coming back to haunt us, that we are due to pay for our past wrongs. It can also indicate that we are being led astray, that those who we see as the guiding light are in fact obscuring the truth from us. We ourselves are blind to what our actual motivations are. In the event that we are aware of our motivations, we are keeping them from another, attempting to keep them in the dark while we progress upon our own unhealthy goals. If this continues, there is a warning of the fires of justice coming down on us, making us pay for our crimes. Sometimes this is a divine justice, the anger of the gods coming down to wreak havoc in our lives for our deceptiveness.